We Got Google Features Snippets - How Do I Feel About It? 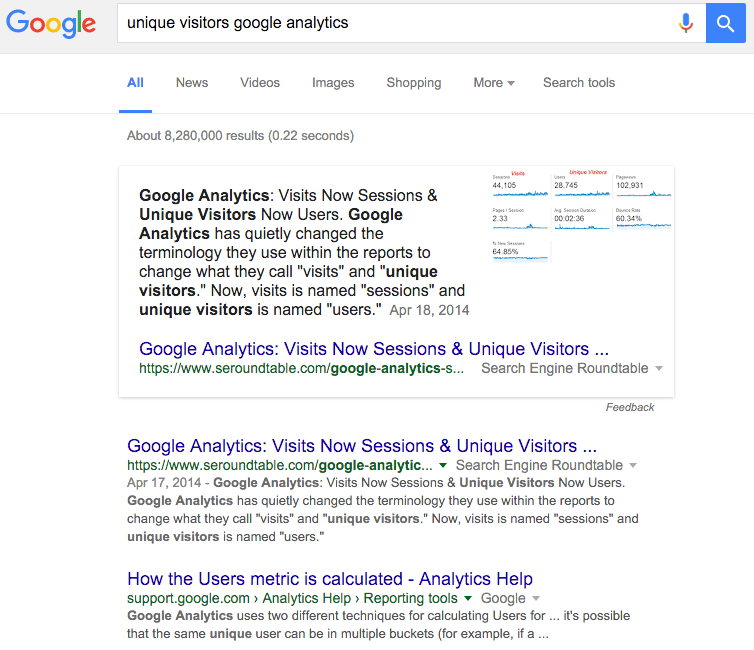 Yesterday, Glenn Gabe shared with me that this site has some featured snippets in Google. He posted several examples on Twitter also hinting that he has some tool to help webmaster determine if Google has featured snippets for their own site. The tool, I cannot wait to see, but this story is more about my feelings about having featured snippets in Google. On one hand, I feel that having these featured snippets means that Google's algorithms deems some of my content to be pretty high quality. It is a good feeling to see evidence that the Google algorithm does find the content here to be quality enough to feature some of them in the search results. That is a good feeling, makes me feel I did something right. On the other hand, I do not feel it is good to share so much of the answer directly in the search results page. I have never been about traffic and impressions, so it doesn't bother me that much. But I often do not let people just take my content and put it on their site. I do not mind when people quote my content and link to it. And Google is indeed doing that here. So my feelings are, having experienced it first hand, that I am okay with it. The link is there, it is a quote of the text that answers the query. I do doubt people will click over from it but I never cared much about the traffic. For me, it really is about getting the content to the people who need the help. So I am cool with it.